Comfy 4mm thick foam type Yoga mat with nylon case. 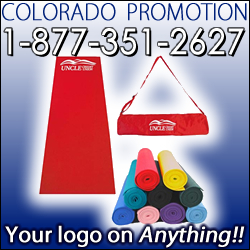 Both the case and mat can be imprinted with your logo, event, etc. Available in many colors, this full size mat can serve many additional purposes . . . the netting on the inside of the case is also adjustable.